In the market for side tipper trailers for sale? Today the Truck & Trailer team takes a closer look at Payloader and the tipper trailers they have on offer. Payloader was founded over a decade ago and is a customer driven company with a focus on high quality, premium trailer builders. With its links to Kearney, one of the most recognised trailer manufacturers in Africa, thanks to its design and subsequent market share, Payloader was able to position itself as a premium brand, with an emphasis on excellence, integrity, innovation and accountability. You’ll find personalised service and countless years of customer service, helping putting your needs first. Image Source: Payloader South Africa Website. The customer driven company is a trailer supplier of choice to a range of customers and markets. Thanks to its hybrid philosophy of manufacturing and innovating with exceptional products and helping reduce ownership costs, they are becoming a more and more popular choice. They also have a wide range of mixed suppliers, technologies, processes and components to help ensure that they offer only the best trailers and tipper trailers for sale. They have a range of tippers, from sloper, slide and many more to choose from. All of which are ideal for a range of uses, from mining, construction, building and more. In the market for a Payloader for sale? Take a closer look at the Constant Velocity side tipper trailers from Payloader. The 22/22m³ Tandem Side Tipper is a combination truck with a tandem axle. Its a sturdy and powerful offering with a capacity of 22 /22 m³ thanks to its bins. Its TARE is approximately 13 400 kg while its payload capacity is 34 000kg. The 22/22m³ Tandem’s chassis is a high quality hi-tensile steel offering with its I-beam welded aspects and 30 oak flatbars as well as both 5mm and 6mm stiffeners and flanges. 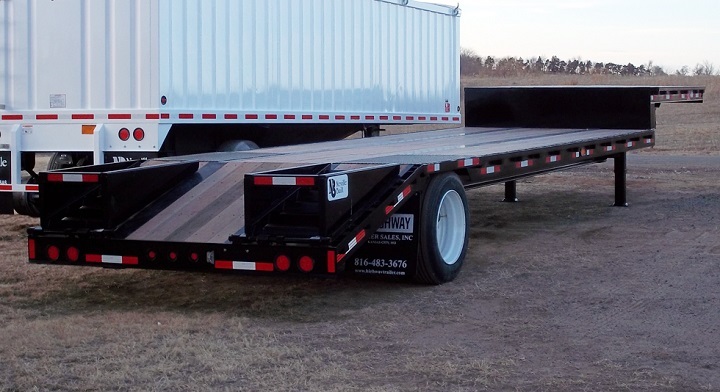 The body of these side tipper trailers for sale allow you to work with ease. This is thanks to its 20 m3 capacity bins which have 5mm and 3mm domex type steel elements. These elements result in the 3mm on the non-tipping side, while the 5mm is allocated the tipping side. As for the hydraulics, there are single stage rams, which can be found on either side of the truck body. You’ll also find a platform and rollover tarpaulin, which allow you to work in a range of situations with ease. You’ll love the control on the axles on this side tipper trailer. The 127mm, hi-tensile tubular beams, made from T16V material is heated treated and can withstand great amounts, thanks to its 11 tons capacity rating. The Duron P2008 / FERODA 3658 brakes are operated using ABS and the spring boosters found on each axle, help with precision and control. While you’ll find Duron P2008 / FERODA 3658 brake lining and S.A.B.S 250 gray iron material brake drums to help add to it. This Payloader for sale is equipped with the 8–blade, heavy-duty mechanical suspension with spring packs. 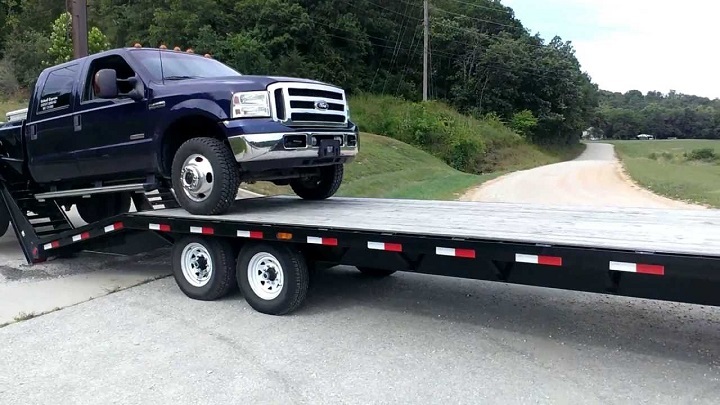 While the rubber bushed, heavy-duty torque arms and rubber bushed balance beams allow for positive alignment and equal load transfer and weight distribution. All of which is TUV European Certified. You’ll also be able to navigate across a range of terrain thanks to the 12R 22,5 tubeless tyres, with their 9.00 x 22.5 disc type rims and 10 studs. If all that isn’t enough, the Propar Axle 2 wind-up leg gear that you’ll find on both trailers and the 900 x 450 x 400 mm fitted toolbox are sure to excite. Create an alert for a Payloader side tipper on Truck & Trailer and get the latest deals straight to your inbox. The 20/20m³ Tandem is another great side tipper trailer from Payloader with a capacity of 20 /20 m³ thanks to its bins. It’s TARE is approximately 13 400 kg while its payload capacity is 34 000kg. The 20/20m³ Tandem’s chassis is a high quality hi-tensile steel offering with its I-beam welded aspects and 30 oak flatbars as well as both 5mm and 6mm stiffeners and flanges. The body of these side tipper trailers for sale allow you to work with ease. This is thanks to its 40 m3 capacity bins which have 5mm and 3mm domex type steel elements. These elements result in the 3mm on the non-tipping side, while the 5mm is allocated to the tipping side. You’ll love the control the axles bring. The 127mm, hi-tensile tubular beams, made from T16V material is heat treated and can withstand great amounts, thanks to its 11 tons capacity rating. The two line air brakes as well as the ABS and slack adjusters and the spring boosters found on each axle, help with controlling speed. These tipper trailers for sale are equipped with the 8–blade, heavy-duty mechanical suspension with spring packs. While the rubber bushed, heavy-duty torque arms and rubber bushed balance beams allow for positive alignment and equal load transfer and weight distribution. All of which is TUV European Certified. Fitted with 12R 22,5 tubeless tyres, this side tipper trailer is also capable of tackling trying terrain. Create an alert for a side tipper trailer on Truck & Trailer. The 12.5/12.5m³ Tandem tipper is another Payloader offering sure to get the job done. It’s a tandem constant velocity side tipper with a capacity of 12.5/12.5m³, giving it an overall bin capacity of 25m³. The body type is a 4mm Hardox, while the chassis is a Payloader, with air or mechanical suspension. The 12.5/12.5m³ Tandem’s welded chassis beams are 12 mm at the bottom and 12mm top. It also has 30 oak flatbars as well as both 5mm and 6mm stiffeners and flanges. 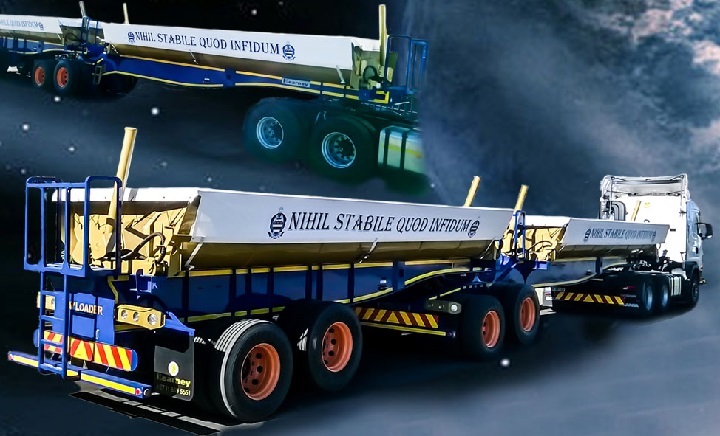 The Holland/SAF axle type, coupled with the domex 700, 6 mm cradles, single stage rams, and the high pressure system, all mean that these tipper trailers for sale can handle anything. You can choose from a range of tyres, from Michelin, Treadline and Firestone, to go with the 1350 mm aluminium or steel rims. This, along with the ABDs, 4x catwalks, 7 pin sabs approved electrical couplers. Other features include the ability to have your corporate colours painted on the tipper. This, as well as a 900 x 450 x 400mm fitted toolbox, a tommy bar and other useful items, to make every journey an easy one. Each Payloader for sale offers its own set of benefits and it is about seeing where they fit in and how they can help you and your business. Looking for tiptop side tipper trailers for sale? Browse through the current deals listed on Truck and Trailer and find the perfect side tipper trailer. Download the FREE Truck & Trailer App from the GooglePlay Store for an on-the-go experience that is out of this world.